Ugh! Another awful day...I shan't go into it, I'll skip the drama and head straight to the card. I have another cheery number for you. 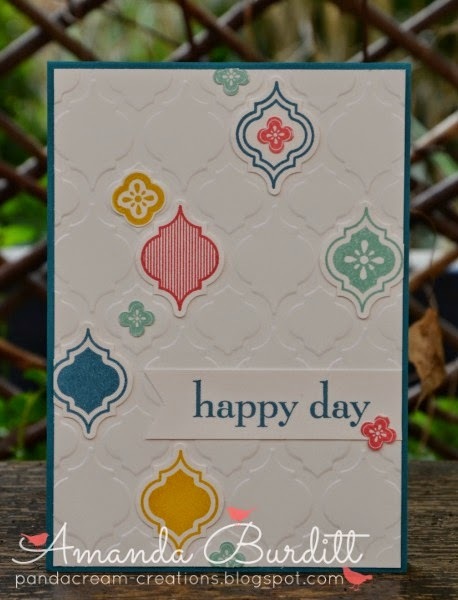 Here's a card we made last month at card club using the Mosaic Madness stamp set. 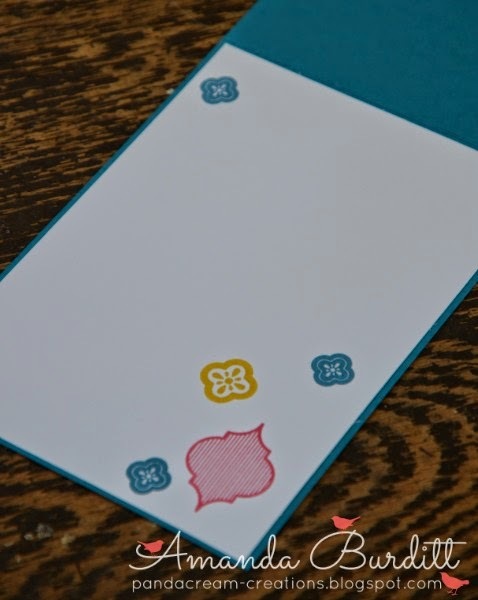 Its really a fun and easy card which showcases the embossing folder, stamp set and punch co-ordination perfectly! I love the scattered look of the mosaics and those bright colours really pop against the white background. I made sure I used a mixture of sizes - large medium and small for more variation. 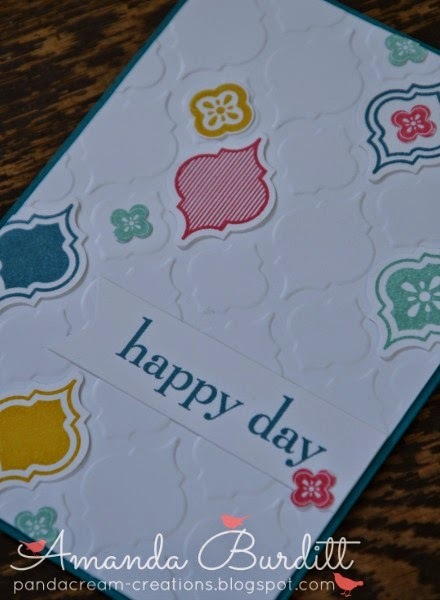 I wanted the sentiment to be kept pretty simple so its been stamped in white cardstock and just added to the card - the banner end just adds a subtle little finishing touch. As the card base was dark I added a white piece of card inside and seeing as I had a bunch of stamps and inks out thought it'd be fun to quickly do a little stamping detail. Hope you enjoyed today's share.